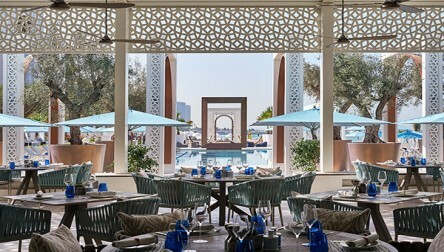 DRIFT Beach Club is nestled within the One&Only Mirage, where luxury beach chic meets casual simplicity, laid-back, yet vibrant ambience. A private beach club with a stunning infinity pool, overlooking a prime beachfront and lush landscaped surroundings. 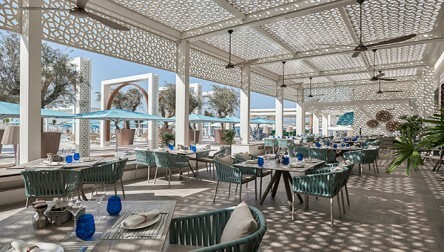 DRIFT Restaurant showcases an innovative Provençale cuisine. Rates: Weekdays from 250AED per person for a sun lounger / Weekends from 300AED. Ladies’ day on Mondays & Tuesdays 125AED per person. 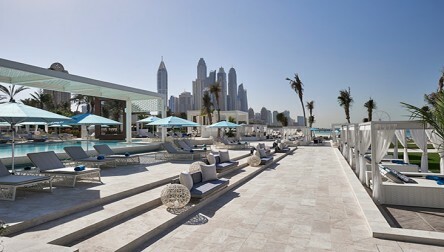 We hope you enjoy your Pool Day Pass at Drift Beach Dubai.DRIFT Beach Club is nestled within the One&Only Mirage, where luxury beach chic meets casual simplicity, laid-back, yet vibrant ambience. We hope you enjoy your Pool Day Pass at Drift Beach Dubai.